From ancient Persia to modern day collaborators. 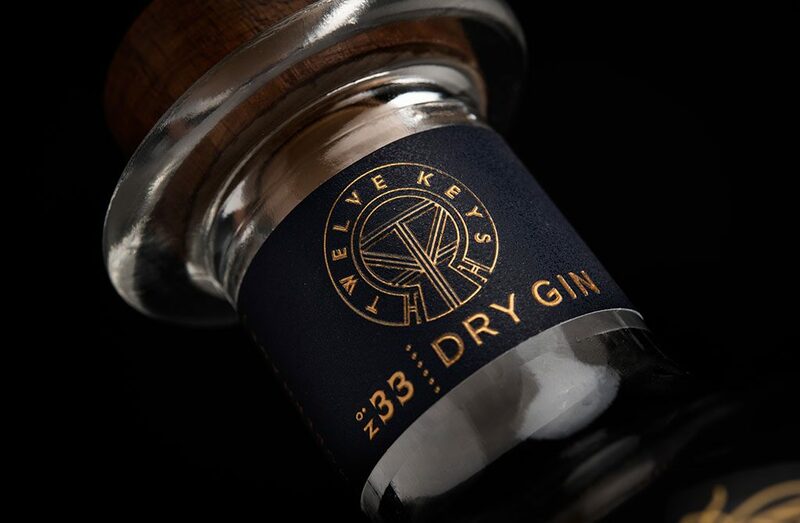 Deep in the underbelly of a salubrious basement bar in Edinburgh, Twelve Keys founder Matthew Clifford had a chance meeting with two local Gin supremo’s who spoke passionately about how their eponymous Gin hit the ground running with great success. Inspired by their entrepreneurial spirit, Matt returned to Norfolk and set out to learn everything there was to know about Gin. It wasn’t long before Matt had compiled an enviable ‘reference library’ of Gin. Delving deeper to understand the premium craft market, he learnt how Sipsmith founders Sam Galsworthy and Fairfax Hall instigated the groundbreaking change in licensing legislation that opened up the whole world of distilling to small batch opportunities. Through Sipsmith, he discovered legendary Master Distiller and drinks historian Jared Brown, and his masterwork on the history of drink: A Spirituous Journey. Matt greatly admired Jared’s passion for reviving old cocktail recipes, and his uncompromising stance on quality and perfection. Seeing a market opportunity for creating bespoke spirits, Twelve Keys was born and the journey into the unexpected began. Matt brought together the best minds in the spirits industry to collaborate, experiment and unearth a new spirit for the modern age. The brief: to turn something simple into something exceptional; a carefully balanced recipe that reflected different periods through the history of distillation. Twelve Keys takes its name from the early alchemical text The 12 Keys of Basil Valentine. The collaborative 1599 book contains twelve keys (or steps) showing the process of turning base metals into precious ones, the Philosopher’s Stone. Alchemists also believed that an elixir of life could be derived from it. Influenced by the early alchemists who believed in the importance of slow, systematic experimentation, it was a true journey of discovery that brought the unexpected at every step. The team unravelled the alchemic process of making spirits to produce a sample with a modern flavour-forward profile, designed for drinking neat. The sample was simply astonishing: on first sip a fresh, fruity acidity hits the palate from the fig, quince and apricot. This dissipates into a booming Gin with a luxurious mouthfeel created by the juniper, basil, honey and frankincense. Fresh and enticing; a Gin for all seasons; a perfect balance of 12 botanicals that surprised and delighted in equal measure, it was simply too good not to share.